Public Services Student Assistant Eleni Roussopoulos writes of a favorite discovery from the stacks. One day while re-shelving books in Spencer’s Special Collections book stacks my attention was caught by a navy-blue box on a lower shelf. Unable to walk away without knowing the contents of the box, I carefully opened it. Inside this box lives a three-volume set of hand-made books titled Sword and Blossom Poems from the Japanese Done into English Verse by Shotaro Kimura and Charlotte M.A. Peake, [1908 – 1910]. Kimura & Charlotte M.A. Peake ; illustrated by Japanese artists. Tokyo: T. Hasegawa, Meiji 41 [1908-1910]. Call Number B3136. Click image to enlarge. 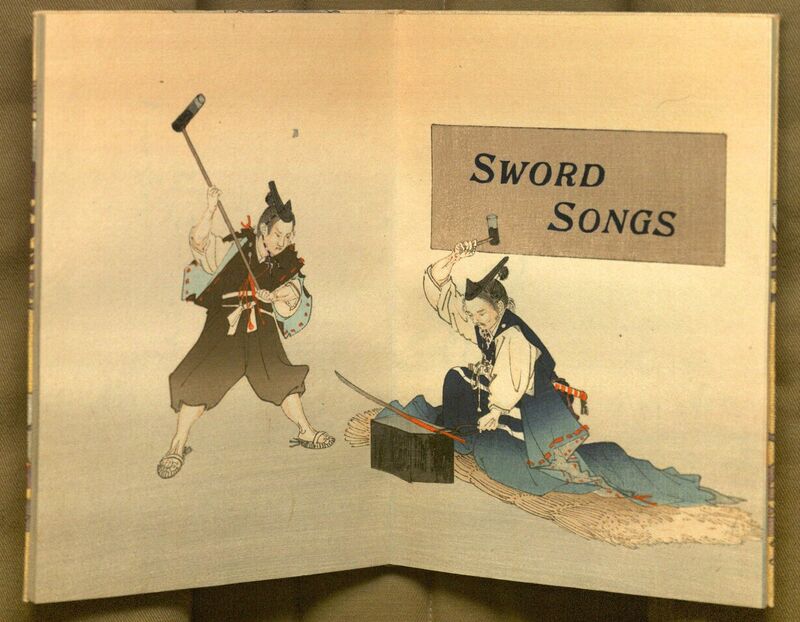 Each volume features both “Sword” and “Blossom” poems, where the text is accompanied by woodcuts from various Japanese artists and is printed by woodblock (rather than by moveable type). 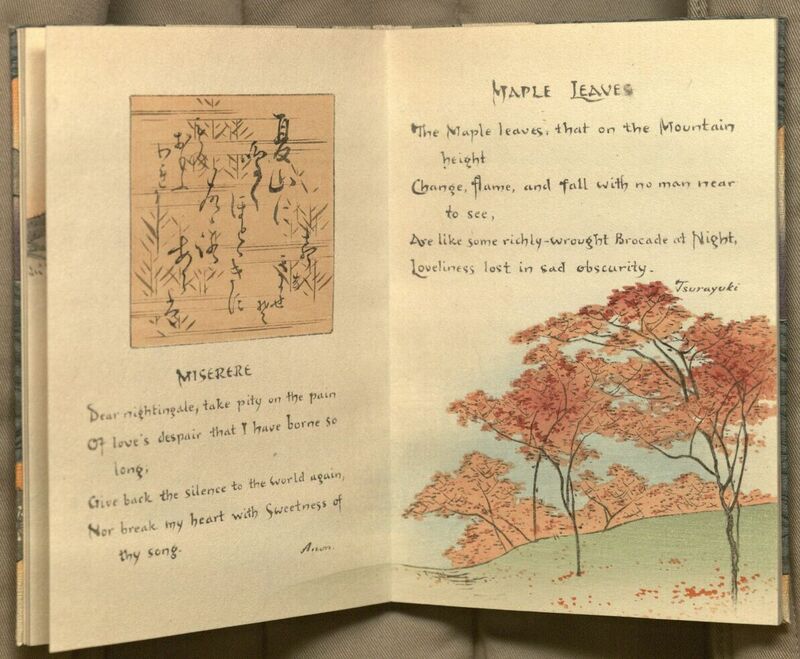 The “Blossom Songs” are tanka (short unrhymed poems) translated from the Kokinshū anthology of Japanese poems compiled circa 905 C.E. 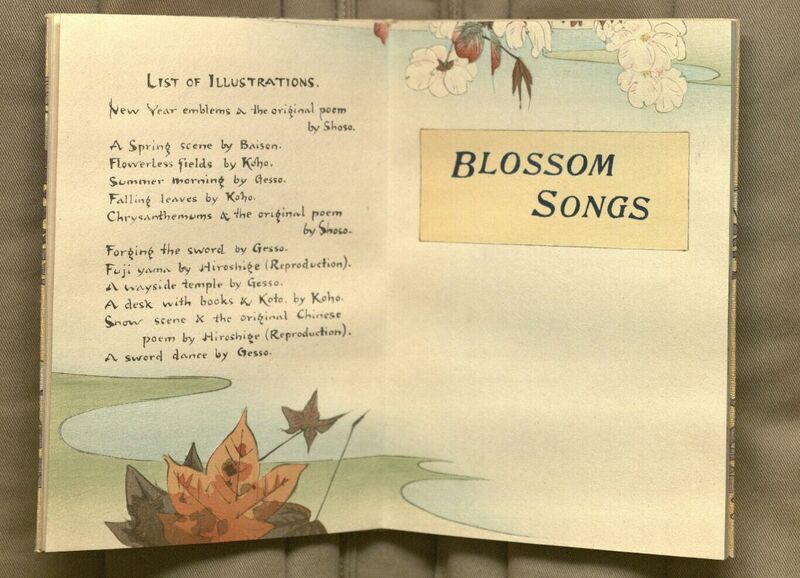 Blossom Poems from the Japanese. Call Number B3136. Click images to enlarge. 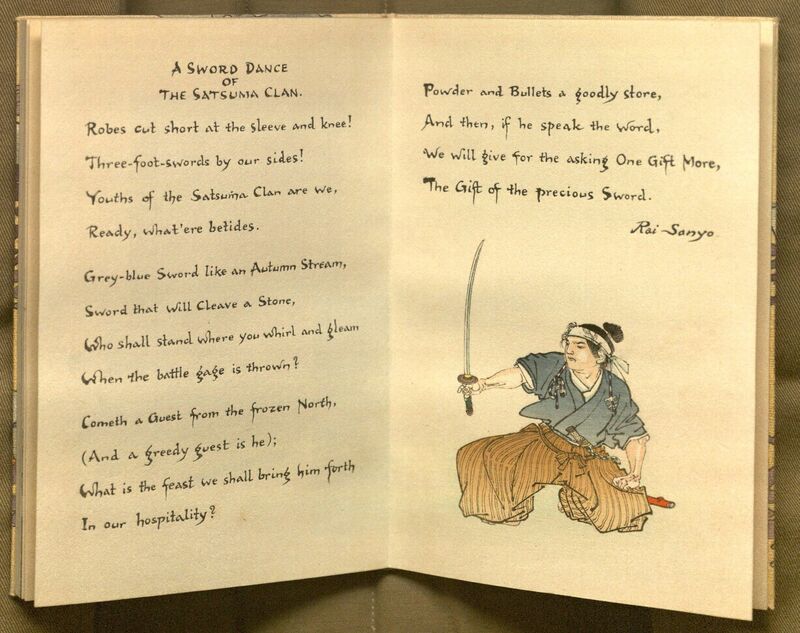 volume two of Sword and Blossom Poems from the Japanese. Call Number B3136. Click images to enlarge. 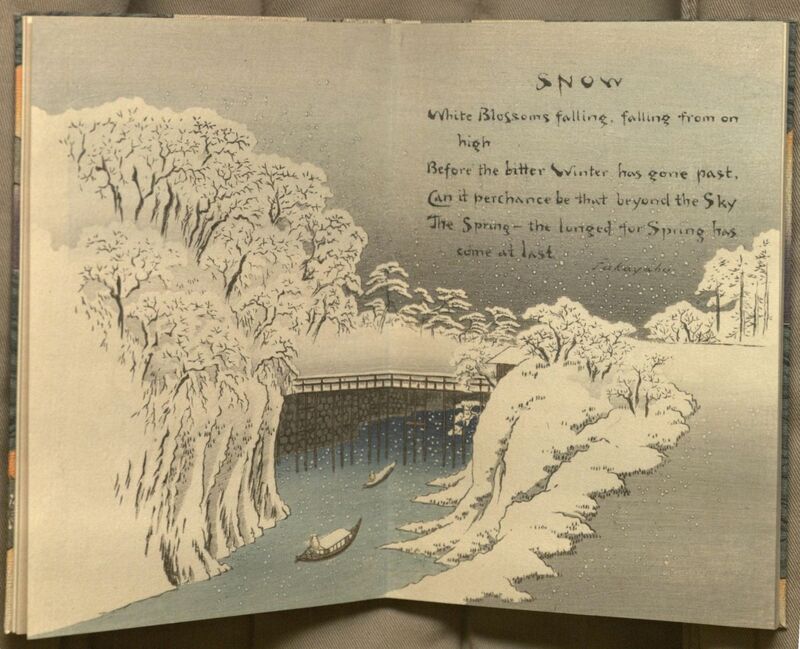 These surprisingly sturdy hand-made books, with crepe-paper covered boards, were published in Tokyo by T. Hasegawa at the beginning of the twentieth century. Gorgeous and fascinating to look at, these short books offer an excellent example of the now-vanishing art of Japanese wood-block printing.